Quail Ridge Golf Club in Ada, Michigan is a busy, busy place. It is a statement echoed by Gary Smithson, PGA Professional, who is in the middle of his first year overseeing the golf operation at the Raymond Hearn-designed public venue. 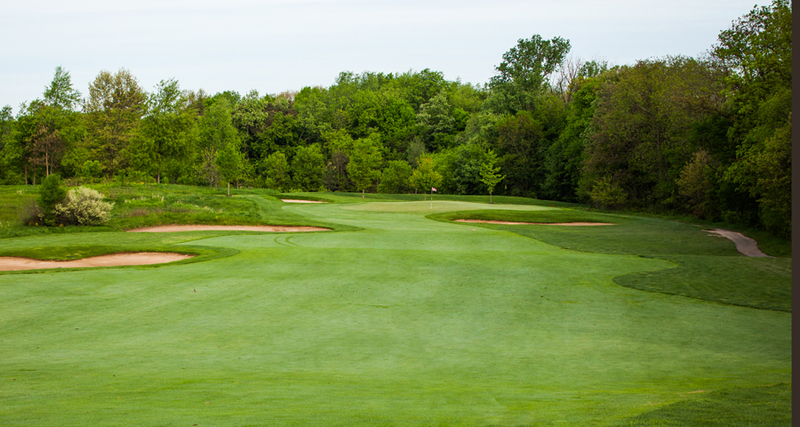 The club, which is located minutes from the heart of downtown Grand Rapids, opened in 1999 under the direction of an investment group headed by Randy Erskine, Michigan Golf Hall of Fame member. Smithson, 50-years-old and a veteran of working in the West Michigan golf market, said his initial goals upon taking the job were to create a nicer retail offering, add his management techniques to the operation, and integrate the new carts purchased. Smithson also said the design and the conditioning of the course are great attributes that make success possible at Quail Ridge. Tim Topolinski has served as the Superintendent at the course since it opened. He was recommended by Hearn, and Smithson said the work he does with his crew is fantastic. The course has annual pass holders-members of about 100 individuals, and the focus is golf outings and league play. A new outdoor tenant wedding pavilion is also under construction, and should be complete soon. It will welcome groups of up 250 people, and includes a bridal suite, bathrooms, food preparation facilities, and a bar.